It's been called an infinity neck scarf/wrap, a seamless bandana, a huggle, a buff and a neck gaiter. Whatever the official term is, I always carry at least one on me. When traveling, temperatures can vary and it's great to use this in the cold, or in the heat to wipe sweat or even just to make things more comfortable, such as under helmets. There are so many uses! Travelers on a Global Citizen Journey will receive one per person with each trip. But anyone can purchase one directly on our Etsy Store here! Cocktail - A special and unique beverage will make your rethink the art of beverage crafting. 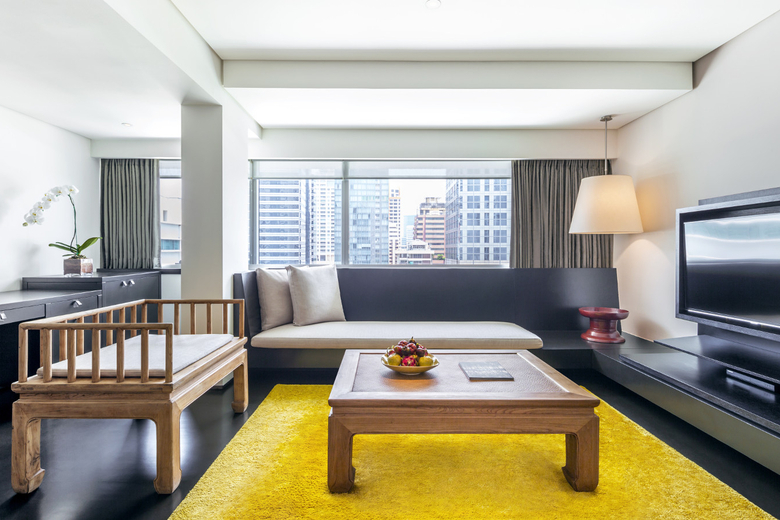 In the heart of Bangkok in the Sathorn District, known for housing many of the embassies, rests the Como Metropolitan, an upscale property that can remove your mind from the city life. Set back from the road, you're surrounded by lush greenery and met with hospitality that will make you want to return. The rooms are spacious with a contemporary feel of light wood and clean lines with a hint of Asian architecture. The quite busy on-site restaurant, nahm, offers traditional Thai cuisine elevated in both flavor and presentation. And nestled next to the main lobby is the Met Bar, a trendy locale for travelers and locals alike with a relaxing atmosphere to enjoy a variety of beverages. Known for their cocktails, one in particular created by their mixologist is an absolute must: the TomYumTini! Imagine an alcoholic, sweeter version of the traditional Tom Yum soup, that will please your palate with just one sip. A combination of muddled ginger, lemongrass and chili, mixed with sour mix and vodka, finished with kafir lime... Whether or not you stay at this great property, a visit to their bar is a must for anyone traveling to Bangkok! We've previously shared a luggage brand we love for carry-ons and now want to highlight how amazing the Samsonite brand can be with durability. Over the course of tens if not hundreds of thousands of miles a year, there is going to be wear and tear. When an airline damages the bag, it's a pretty easy process to get it fixed, but can take some time, so may not be worth the wait. Recently the wheel on an 8 year-old Samsonite bag was just not working, so we made a trip to the luggage store (even though we purchased it at a department store). As there was not enough time to send away to have it fixed the result was "Just pick out a new bag of the same size and we'll just swap it out." No lengthy process or forms, just pick one! How amazing is Samsonite's 10-year warranty?!?! No receipt to show, but they know based on style the age of it, plus the new bag comes with it's own 10-year warranty. Welcome to loyalty! 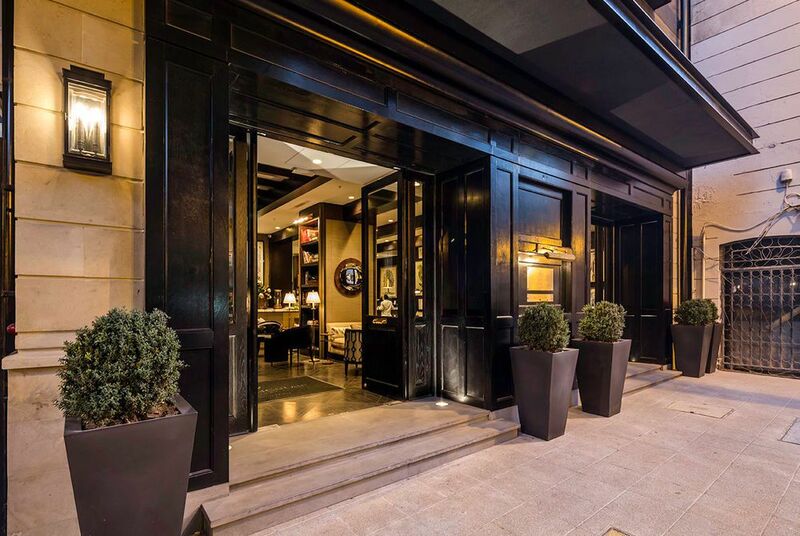 Wood - Set in the trendy neighborhood of Lastarria in Santiago is the The Singular, a Chilean property brand with locations in the iconic places of the country. From the outside you'll immediately notice it's different, both in class and style, but adheres to the slight bohemian style of this up-and-coming area. It was the dark wood that first struck me as I entered and while it had been only been open a couple days, I could tell it would be something special. 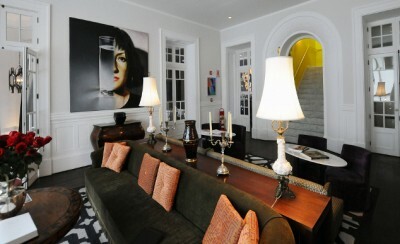 There was a buzz around and the slight colonial feel as lobby area is filled with dark wood, pictures and art. The bar and restaurant are equally as sophisticated and with rooftop is a sight to be scene both in the evening and during the daytime with landscaping views. And just steps outside, you're overcome with the sense of authenticity with streets and alleys of shops, galleries and some great dining experiences. There's always a question on currency exchange rates and when/where you should take out money. I always withdraw from an ATM in the destination, but make sure to let your bank know where you'll be traveling. I love this app to quickly convert while traveling as it doesn't need to be connected to the internet. I'll usually screenshot the equivalency of $10 for an even quicker reminder. Reception - As you approach SP34 in Copenhagen, you see the neon yellow sign indicating the entrance, reminiscent of a newly-approved 'speak-easy' as it's mixed among residences in an un-touristic part of town called the Latin Quarter. The street is filled with restaurants, design stores, and bicycle shops all with a Bohemian style. Walking in you're not sure if it's an art gallery, coffee shop, or a hotel, but understand it's definitely a cool vibe. The library sits raised with a large window facing the quiet street and you'll still question where the formalities of check-in occur, until you see the sign with the bar serving also as reception. You can cozy up between others enjoying coffee or a drink and begin that process. Nearby in the 'lobby' sits over-sized couches, swanky prints and other art scattered among people working or enjoying a beverage. The rooms are simplistic and modern, but meets all of your needs. Each room tends to be different, some with balconies or nontraditional configurations, but only adds to the aesthetic appeal. Should you get lost, there are artistic signs throughout. Attached to the hotel are 3 eateries, each with different style, yet contemporary and trendy with both visitors and locals. 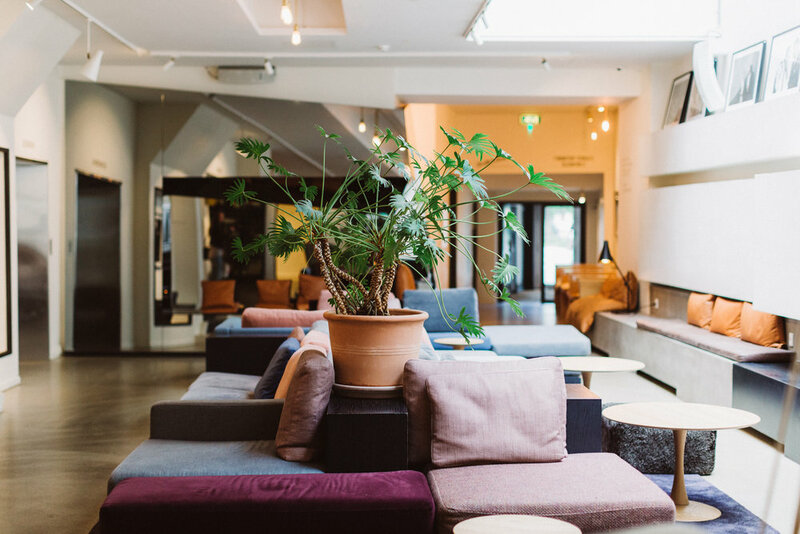 From the Secret Garden to the classic Burger joint or the cafe, there are many options to settle in and feel as though your experiencing the real Nordic lifestyle that Copenhagen has to offer. And don't miss the 'wine hour' from 5-6pm with complimentary hand-selected varietals while you meander around the lobby looking at the art! 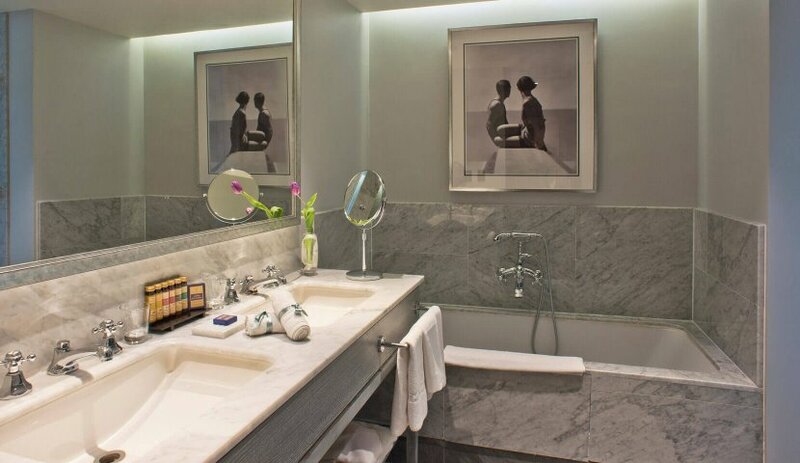 Nearly every hotel is going to have amenities for the shower, but some people prefer their own brands, or additional ones for face wash or sunscreen. Obviously you need to be under 100ml (which is 3.4oz, not 3 oz, but that's a general rule) if you're carrying them on. However with most container options, you usually can't get some of the gel/cream/soap out. I like these as they are silicone so 'squeezable' and they can hang on the water with a suction cup, but most importantly they actually stay air-tight. My rule is to refill these during the first shower when I return from a trip so you're ready to go on the next trip! Ambiance - Located a few hours east of Paro, the only gateway into the Kingdom of Bhutan, sits Gangtey Lodge, perched atop of a field known for the migratory black-necked cranes and situated next to a monastery, all surrounded by the serenity of what Bhutan prides itself on, happiness. It was here that the entire concept of a Global Citizen Gem was created as these special places should be shared with others who can understand their appreciation. After traveling over the Dochula Pass, you'll continue across the developing national highway, but with each mile you drive, you feel as though you are traveling away from civilization and time. And then you suddenly arrive in pure luxury, nestled high in the Himalayas. After greeted by the lodge manager and welcoming staff, it's time to learn about the many cultural activities and relaxation options at the property. The main lobby, or living room as I felt it was, is so intricately assembled that it should be showcased in design books. There are only 12 suites on the property, each so spacious there are two fireplaces, which add to the element of a time-warp yet maintaining modern-day luxury (the heated wooden bathroom floors are a favorite!). There are many activities from hiking, learning how to use a bow & arrow, visiting the local school, black-necked crane center, but be sure to not pass up the relaxation options like a hot stone bath (room for 2) or an in-room massage treatment. After a cocktail in the living space, I returned to my room for a sunset massage and was so struck by the colors, I kindly asked to take a picture. I returned to the main lodge area for dinner and realized there wasn't enough time left in the day to savor every bite with each course. Truly, this property epitomizes the concept of a remote luxury lodge from the beautiful accommodations, deliciously presented food, but most importantly the kind and caring staff that makes this one of the most special places on this earth. Always add a frequent flyer number to your airline reservations even if you don't generally use that airline. And make sure to check the airline because you'll sometimes receive extra baggage allowance if you're a member (such as the case with Bangkok Airways). While some airlines are a part of an alliance (OneWorld, SkyTeam & StarAlliance), others such as Emirates and Alaska have shared loyalty outside of an alliance, so plan out your year's trips to maximize status. Otherwise, you can use those miles to get free magazines, lounge access, upgrades at hotels or always gift them to a charity of your choice. Village - With only 3 flights in/out a week, I knew this property was going to be special, but I didn't realize how much I'd fall in love. As you descend in the plane, you can look at the window and see locals watching and waving as you land. I first thought they were waving to their loved ones who were also on the plane, but came to learn that nearly all of the passengers are just coming to the resort and it's that the local villagers are just excited to meet you. Truly, both Papua New Guinea and Tufi remain one of my most favorite destinations because of the authenticity and ability to connect with locals. As we deboarded and began walking up the small hill, I questioned how far we would be walking, but then realized the airstrip, village and resort are essentially one in the same. We were greeted by the resident hornbill and after settling in my room, I ventured out. I began chatting with a group of village boys who invited me to join them in a game of soccer that afternoon. Sadly, the teenagers were using the only soccer ball, so I learned the game of rugby instead. The rooms have all the necessities and the property has a large pool, bar area and even wifi, which was surprising. The food is traditional with a heightened sense of freshness, especially with the seafood like the over-sized lobster tail caught earlier in the day. The activities from the resort are unprecedented authenticism. You can venture by a canoe raft to a nearby village to learn how the locals utilize sago and their tattoo process. You can go diving (both snorkel & scuba) to see amazing fish, explore sandbars or even catch a lobster. Take time to walk along the mountain top overlooking the fjords or into the village to share some stories. In the evening you can enjoy some local performances, relax at the resort or reflect on the time spent exploring the land of 800+ languages. When we departed, one of the village boys approached a fellow traveler to give her a bracelet he made for her after she spent some time talking with him. In most destinations, there would be an expectation of payment for such a gift, but as we learned and were told, tipping is not part of the culture and a payment would be somewhat offensive. He wanted to give a gift just to give a gift, which really highlights how special and welcoming the villagers are, especially as they all come out to wave goodbye as your depart one of the most authentic and remote places on the planet. If you're like me and tend to always be right around the weight restriction for baggage, this item is key! It's not only light in weight, so you can travel with it, but it easily changes between lb. and kg. to easily calculate limits. Another great feature is that is also tells the temperature, which can be great when in the destination. Pyramids - The first time you see the ancient pyramids of Giza, you'll immediately rethink civilization and the world as we know it. How were the Pyramids actually built with such large stones, at that size and with architecture allowing for hidden rooms. There are a few properties in the world where these ancient civilization icons are available with every view and the Mena House Hotel is one. Located outside of Cairo, in Giza, this hotel offers unparalleled views and access to these incredible man-made structures. Whether it's sunrise or sunset, sitting on the balcony takes you away to a time long ago, yet the comforts of today's lifestyle. There are suites located closer to the main building that have gardens with views and are traditional, however I'd opt for the new wing near the pool that are contemporary in style. The property is located within the confines of the Pyramid area so additional security points are necessary, but that also provides privileged early access as well. There are various eateries on property and a lengthy pool to enjoy. 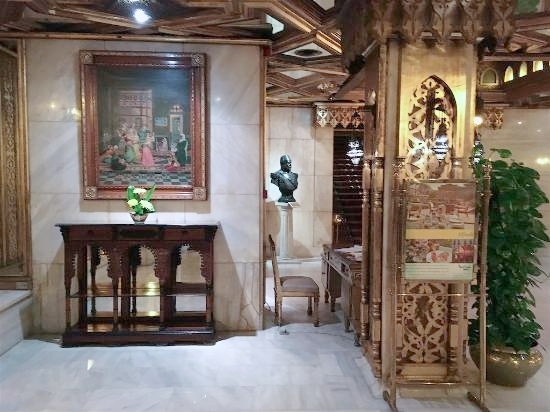 Throughout the hotel you'll find old photos of when the site was first discovered and really see the length of history that's located within view. Currently under construction but nearby is the new Egyptian Museum that will offer an expanded glimpse into the ancient past, allowing for dedicated time rather than transferring between experiences. A must-do while there is climbing into the Pyramid, although confined, well worth the crouching and heat, ultimately arriving to a room once dedicated to rituals. Often times in celebration whether national or even individually such as weddings, you'll see fireworks behind the Pyramids truly making it a sight unforgettable and all from the luxury of your room. The E-visa options are becoming more popular in countries and often times these lines are the shortest, plus you don't have to surrender your passport for weeks at a time. Just make sure you have a passport photo image! For visa-on-arrival options, make sure you know the process, so you can quickly get through. (Sometimes you can pre-fill out the form or you may need to pay and get a receipt in another line.) If you're not given the form on the plane, grab it quickly and fill it out while waiting in line to save time. Note that visa-on-arrival options generally don't allow for multi-entry or validity for more than a couple months, so if you plan on going to say, India, a few times, it's more cost-effective to do the normal visa. No matter where you go, Global Citizen Journeys will prepare you for the visa options. BONUS TIP: Take advantage of any extended layovers through China, with 18 cities have 72-hour visa free. Sophistication - As you walk in, you immediately recognize a new level of contemporary class. Greeted by a young professional staff (many of whom are interns from sophisticated tourism schools in Europe), you're taken to your room, high up in the building's tower. Almost as a retreat in the hustle and bustle of Hong Kong, you can relax in the outside terrace. Or enjoy the top floor bar lounge, a trendy venue for the city's young professionals. The rooms are quite spacious with large windows over-looking the city and their suites are some of the finest! Guests are treated to a delightful mini-bar with candies and treats, all complimentary. The living area includes over-sized couches and a dining room table inviting the thought of having a soiree to enjoy the large space. Separated from the living area is the bedroom, also with large windows and a bed fit for a king. The bathroom is behind with the separate sinks before walking into another area with a large tub again over-looking the city with large windows. Between the water fixtures, decor and exceptional service, the Upperhouse leaves nothing to be desired for the sophisticated traveler. Splurge and get two of these… What I love most about these is that they are blow-up, so condense down and don’t take up very much space. You can adjust how much air is in them depending on your style and I usually blow one half-way up and put in the crevasse of my seat to support my lower back while using the other on my neck. They're cheap and well worth the investment! Dipping Pools - Surrounded by an iconic setting, the Fairmont Banff Springs is often known for a destination during the winter months, but it's also a great place any time of year. Set with a backdrop of cascading mountains, the property is known as "the castle in the Rockies" and definitely lives up to its name. It's only a 5-minute drive from the town of Banff, which reminds you of a 'close-to-home' Switzerland, with its quaint walk-able town with many eateries and shops. The views from nearly anywhere are spectacular as its a village surrounded by mountains. 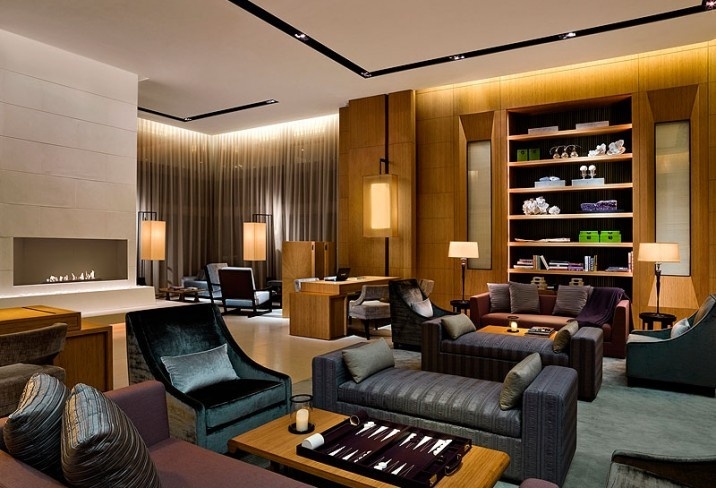 Although the hotel has more than 750 rooms, the service and attention to detail is not sacraficed and sets the tone of the entire Fairmont brand worldwide. It is the Willow Stream Spa that makes this property so special. The area is known for its hot springs and the Fairmont Banff Springs does not disappoint. Surrounding the beautiful pool are smaller pools set to different temperatures, allowing guests to relax to a scene of serenity. For a quick getaway in any season, this property will delight your mind, soul and body. There are so many configurations of planes, which can vary by only a few rows, but could mean the difference between having a ton of leg room or not being able to recline. Just put in your expected flight details and you can easily see what seats are best. (A side tip: If there are two exit rows over the wings, try to avoid the first row as they won't recline due to another exit row being behind those.) You can also see the type of plane scheduled to be flown, which could mean the different between a year-old movie on a loop or a gallery of movies and music at your disposal. Vibe - It's hard to put into words the amazing property called Hotel B, located in the Barranco neighborhood of Lima, Peru. I've had the pleasure of staying here on multiple occasions and it never disappoints. While many properties are located in the Miraflores district, Barranco is an upcoming neighborhood that has all of the authenticity of feeling as though you live there. Deemed the 'bohemian' part, the nightlife is relaxing, completely walk-able and is also the home of my favorite coffee shop in the entire world, Cafe Bisseti (check out their cofee laboratory!). Hotel B is situated on a corner and even from afar you can tell it's special with it's stark white facade and colonial look. As you enter the lobby, you immediately feel at home with over-sized couches and details for days. Just off the lobby is the bar, which is a hot spot among the locals. With unique cocktails and amazing appetizers (such as the BBQ octopus), it's only elevated with one of my favorite pieces of art at the hotel, a statue of Grecian god with 3 chocolate ice cream cones turned upside and melting on him. You should also venture next door to the art gallery which has rotating contemporary and eclectic art. The rooms are situated between two wings, both maintaining the vibe and various art installations, with rooms of various layouts such as a bathtub below a large piece of art or a balcony. A recent addition is their rooftop patio which offers amazing sunsets as it's only a couple blocks from the cliffs of the Pacific Ocean. Between the contemporary art, neighborhood, class and vibe, Hotel B has remained one of my favorite properties across the globe from the moment I walked up the steps to my Peruvian home away from home. I throw these handy items in pockets throughout my luggage. They're great to double-secure luggage, fix a broken clasp or create a last-minute keychain. They're lightweight and while I don't use them on every trip, they're a great 'safety net' should I need them. You may ask, how you'll cut them, but nail clippers work great or some hotels will have a wine key that has a small knife which works. Experiences - It began as we stepped onto a boat and started traversing the backwaters of Kerala in Southern India. This was a new part of India, much unlike I had known... As we approached the entrance, the gate was raised and we floated through a lagoon, navigated with a only long reed, eventually stopping on the dock at reception. With a welcome song, cocktail and blessing, I felt as though this was the India I wanted, but didn't know still existed. I was escorted to my suite which had an over-sized living area for my needs, but perfect for a family or longer stay. My bed was adorned with petals, leaves and towels that were in the shapes of an alligator, flowers and bird, clearly more than 100 pieces artistically placed as a gracious welcome. I walked over to the back sliding door and expected a small patio and was shocked to find a large plunge pool, outdoor shower, and deck overlooking the marsh. Luckily enough there was a thunder storm (no rain, just thunder and lightning) and as I sat in the rocking chair I watched the sky light up with a beautiful shade of purple every few seconds. Having been on the West Coast of the US for so long, I had forgotten the feeling of such electricity in the sky. After a few hours of relaxation in my private pool, I forced myself to fall asleep, knowing the next day would be filled with adventure. I awoke and had an appointment with the Ayurvedic doctor who determined the specific massage I should receive. I, then, departed on a day boat to cruise the backwater canals observing local life and enjoying a delicious lunch. Upon returning, Shandama, an elderly woman of the community canoes daily to the Coconut Lagoon canals to serve tea and biscuits to guests. The property offers so many experiences and activities like coconut husking lessons, watching a Kalari match, spending time in the butterfly garden, tabla teaching, and nightly performances from locals. You can also walk throughout the secluded property (or venture into the nearby village) and discover how they are sustainable and learn about local traditions and customs. There are a couple dining options and thinking about the BBQ prawns here, makes my mouth water even months later (I ordered a second serving immediately). The entire community supports and is supported by this amazing eco-friendly and sustainable property. The morning I left happened to be Kerala Day, a celebration and I was humbled in the experience in planting a coconut tree with the staff at this unforgettable property and brand. It's the backwaters of India, the simple life, filled with experiences, heart and culture.